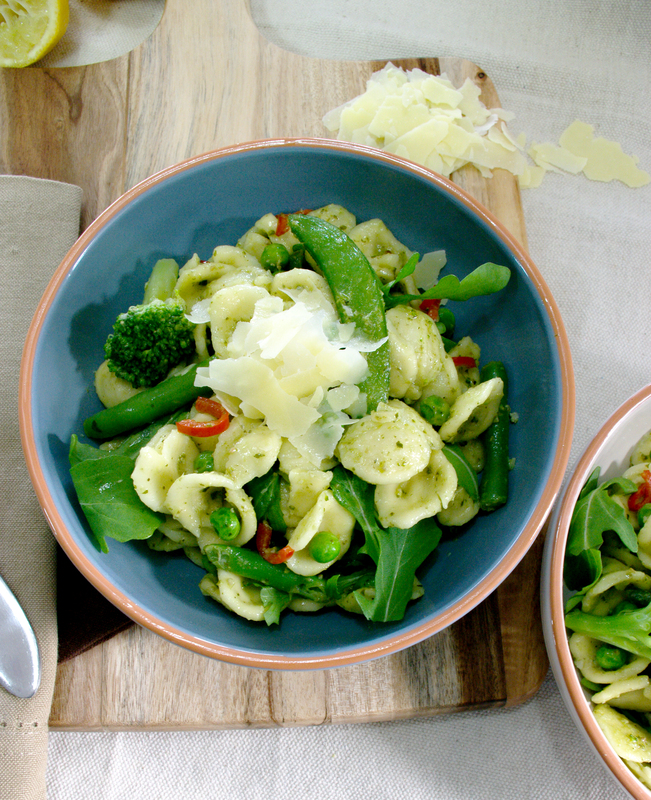 This delicious pasta dish will ensure you and your family are getting your daily dose of greens! Ready in a flash, and with a chilli pop that will keep you warm in winter, it’s the perfect weeknight main meal or side to grilled meat. Cook pasta in a large pot of boiling water, to al dente, and drain, reserving ½ cup of pasta water. Heat olive oil in a large pan over a medium heat. Add sliced garlic and chilli and cook for 2 minutes, stirring. Add pesto, pasta, Green Vegetables, lemon juice and season to taste. Mix well and cook for 2 minutes. Add reserved pasta water sparingly to lubricate the pasta and create a dry sauce. 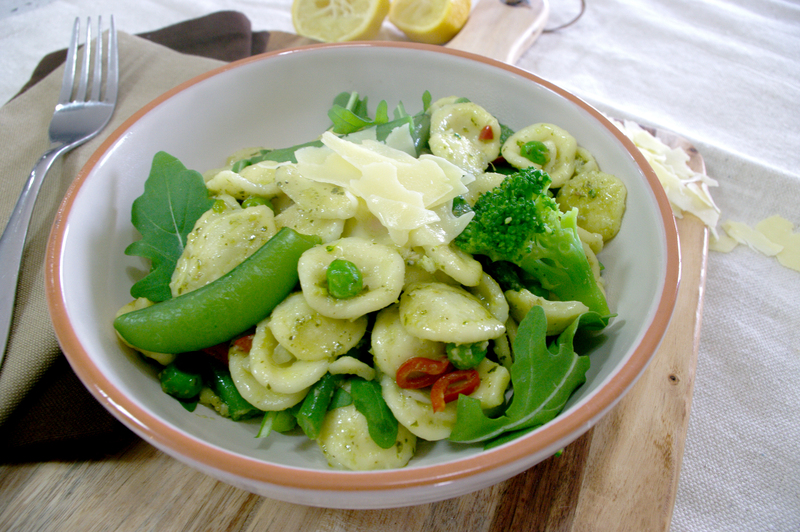 Divide rocket evenly amongst bowls, top with Garden Green Pasta and serve topped with shaved Parmesan.